The biggest threat to your cryptocurrency investment is not volatility, but the security of your funds. Even though most of the fast learners moved to hardware wallets like Ledger Nano S for securely storing cryptocurrencies, a lot of us still keep our funds on exchanges. It’s definitely not the best practice but that’s the most suitable option one has, as setting up an individual wallet of your own for all those new coins is next to impossible. Although these top cryptocurrency exchanges shutting down poses a serious threat, to be honest, this is the least of your worries. The bigger fear here is getting hacked due to your own personal negligence and bad security practices. If convincing is what you need, consider this. According to Chainalysis, Cybercriminals have stolen more than $225 Million worth of Ethereum in 2017 using just Website Phishing, which is practically nothing more than creating a spoof website that looks like the original website. And what’s more, Bloomberg has brought to light a stunning revelation that there is a whopping one-in-10 chance that you will end up being a victim of cryptocurrency theft while indulging in ICOs. All this and more points to one obvious fact – there is an urgent need for all of us to be more diligent while investing in cryptocurrencies and make cybersecurity a priority along the way. So how can we begin to do that? Two Factor Authentication or 2FA is one of the most powerful ways to go about the security of your account, and we have all been guilty of neglecting it. Note: Sometimes 2-factor authentication is also known as dual factor authentication. Let’s take a look at what it is and ways to set it up. What is Two Factor Authentication (2FA) and How Does it Work? As the name suggests, 2FA adds another level of security to your trading account. With standard security methods being extensively used around the Internet, it is scary to know how easy it has become for cybercriminals to get their hands on your account’s User ID and Password. 2FA helps to make sure that cybercriminals are not able to log in to your account even if they have access to the account’s credentials. Something You Know: This might involve a combination of passwords, PIN, code, or answer to security questions. Something You Have: This includes a smart card, a pass, or a code that is sent on your email ID or physical hardware such as a mobile phone. Something You Are: This involves a combination of biometrics such as your fingerprint, your retinal pattern, or even your voice. 2FA is implemented in various ways from company to company. Let’s look at a real-life example to better understand the concept. After that, I will explain how exactly you will be using 2-factor authentication in your crypto setup to make your account on exchanges more secure and less prone to hacking. Suppose that you have a security locker with your bank where you save all your valuables. The bank hands out the key of the lockers to the customers. But in order to access it, a combination of two keys are needed – one from the customer and one from the bank. This is nothing but two-factor authentication. Similarly, your debit card (something you have) and ATM pin (something you know) are also an example of 2FA since you cannot withdraw money by using just one factor. Two-factor authentication works similar to your existing login procedure. The only difference is that you now have to enter an additional piece of information in tandem with your user ID and password. This additional info can be intimated to you with the help of a One Time Password (OTP) that is sent to your mobile number or email ID. It can also take the form of a code on an app such as the Google Authenticator or Authy that you need to enter on the website’s login page along with your credentials. Using your Email or SMS (Phone number) for authentication is not recommended as for a hacker it’s easier to hack your email or using social engineering they can get a copy of your sim card. However, when we use a mobile app for generating this token, you are in complete control of the security. In fact, if you have not used 2FA before, you should be using it from now on. It’s easy and makes your account security more advanced. You gain access to the website only after you enter this piece of extra code. 2FA adds a much needed second layer of security to your trading account. This translates to the fact that even if there is a data theft at your trading company, which happens more often than one might realize, the hackers will not be able to log into your account even after getting their hands on your ID and password. Since the hacker is not likely to have access to your phone or email ID, this feature is what makes 2FA extremely lucrative for users who want to increase the security of their accounts. This holds true even in the case of a Brute Force attack where a sophisticated software is used to breach the security and know the account’s login credentials. With an increased sense of security, employees and management do not need to be in a secure office environment to access sensitive data. It can now be accessed on the go with two-factor authentication acting as the cushion for mobile technologies. Hence, employees can now access company data, documents, worksheets, presentations, and more via practically any virtual device or remote location. All this is now done without jeopardizing the sanctity of the sensitive data by keeping it secure at all times. For example, even if an employee uses a personal tablet to log into the company portal, no other family member can access the information while using the tablet later since 2FA makes it impossible to log in even if the ID and password are stored in the browser. Due to growing threats of coordinated cyber attacks from around the world, Cybersecurity at the corporate level is at its peak today. This has motivated organizations to handle this matter critically and adopt the best security practices of the virtual world. But the costs associated with such practices are often high. 2FA provides a simple, easy, and efficient way for organizations to manage their security issues. This is especially relevant for SMEs and Startups who are always on the lookout for cost-effective solutions. Companies often face the issue of handling customer queries related to login issues. This usually takes up a lot of valuable time of help-desk or account managers if it is not automated. Two-factor authentication can take away this inefficiency by enabling the users to reset the passwords themselves in a secure way by using a combination of their email and the authentication factor they have chosen. And what’s more? It also stops the hackers to abuse the system of ‘Reset Password’ to gain unauthorized access to your account. A lot is on the line in the case a hacker gets control of your account. Identity Theft is one of the major first world problems that we are battling today. 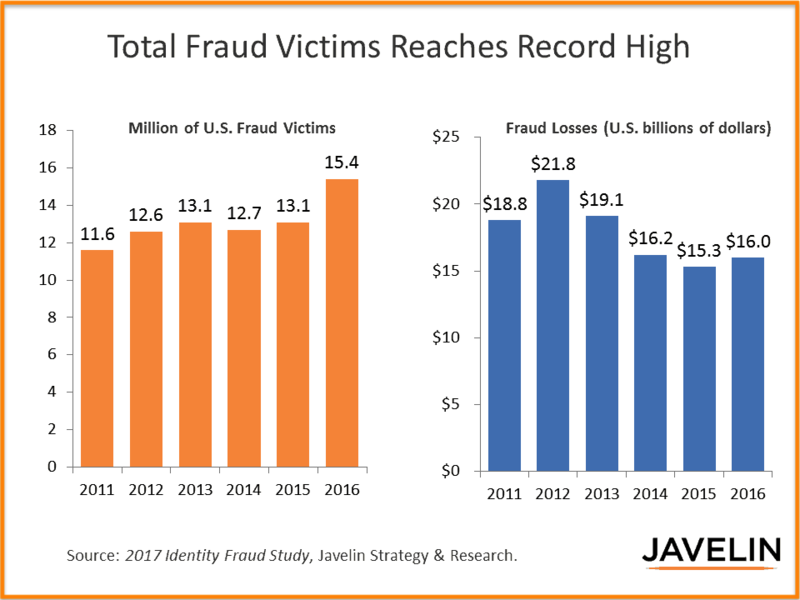 The Identity Fraud Study of 2017 astonishingly revealed that about $16 Billion was stolen from 15.4 Million customers in the US alone in 2016, with over $107 Billion stolen in the last 6 years alone. This is because once the hacker has control over your account, all other linked accounts and sensitive details also suffer. For instance, if your cryptocurrency trading account is hacked today, all your linked bank account information along with your KYC details are also at risk. 2FA is your best bet against such baffling madness. The most modern and secure way to use 2FA is by using a hardware device like YubiKey. However, a majority of us uses an app like Google authentication or Authy to setup 2FA. In fact, when you are using an exchange like Binance, Bittrex or any new one, you will be using this app based 2FA. Before I explain about using Google authenticator app for 2FA, let’s have a look at how YubiKey works. In the near future, you should aim to move your 2FA security to such hardware piece of device. Yubikey is a hardware authentication device that comes armed with a range of features like one-time passwords, authentication, encryption and even the Universal 2nd Factor protocol (U2F). 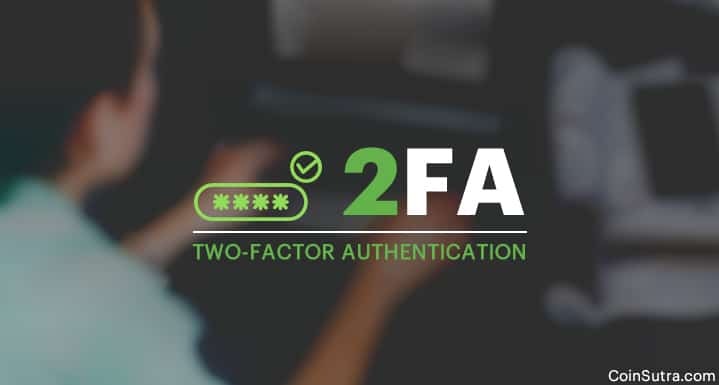 In practice, it functions as a second authentication factor as something that the user has with them by allowing them to securely log into their accounts with the help of an OTP or a public/private key pair that is promptly generated by the device. But the best feature of the device is that it can even be used with websites that do not support OTPs. This is done with the help of stored static passwords. The authenticity of the device can be gauged by the fact that it is used by both Facebook and Google to store employee credentials. If you wish to move to this advanced 2FA to secure your accounts, you can order YubiKey from here. If you are on the lookout for a 2FA app that you can use Google Authenticator or Authy. Google Authenticator and Authy by adding a string on accounts or websites where you can use 2FA with the help of an easy to use interface and a much-needed swiftness for a hassle-free login. Authy differs from Google Authenticator in the way that Authy requires your phone number too along with your email ID. The phone number is used to send a verification pin that is required while registering your account. But that is not it. Authy delivers what Google Authenticator lacks – multi-device support. What if your device is stolen and you have all your 2FA data set up through the Google Authenticator app? There is no way to safeguard the data by deauthorizing the device. With Authy, you can immediately take away all 2FA privileges off the stolen/lost device and authorize a new device to access all your accounts. And what’s more, this app is available for all devices, not just mobile. You can checkout Authy here. However, I prefer and use Google authenticator as it’s from Google and the security is top notch. In the next part of this series (Will be published tomorrow), I will explain how you can set up Google authenticator with a popular crypto exchange. The process is going to be the same for other websites including Gmail. So this is how you can set up two-factor authentication on your exchange accounts to add another level of security to your login process. It goes without saying that it would be foolish to not use such a feature in today’s uncertain world of cybercrime. Always remember, at any point in time, your security is in your own hands and you will have only yourself to blame if anything goes wrong! Watch out for my next article in this series which will help you to quadrangulate your online security. For now, if you have any question regarding 2-factor authentication, feel free to ask in the comment section below. Do share this guide with others who are new to the crypto world and should improve their security. 1 What is Two Factor Authentication (2FA) and How Does it Work? 2 How Does 2FA Work? Is it possible to setup an account with an exchange to buy crytocurrencies with dollars whereby I only use two factor authentication with my exchange account – but not first getting one with a smartphone. In other words must I get two factor authentication on a smartphone before I can get it when using a crypto currency exchange? Yes, most of the exchanges recommend using the phone. In case if your concern is not to use your Cellphone number, but ok to use App, you should Google authenticator app.